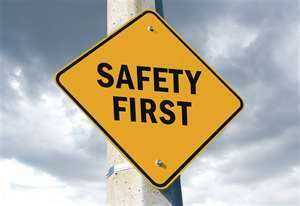 Over the weekend, I attended a safe environment class I needed to take to volunteer at my church. I left in disgust as I watched pedophiles be interviewed about how they led their child victims into being victimized. It inspired me to write this blog about our need as parents and people to protect children. As a speaker on chastity and modesty, I have heard far too many horror stories from teenagers and college students about sexual improprieties that happened when someone trusted too much. I wish I could believe the world is all roses and sunshine and that all people are good. I do believe most people are good, but the minority of people who do damage to children have the ability to do damage to many children at a time. And, when it is your child that comes in the path of a person like this, their chances of becoming a statistic (1 and 4) are high. The one thing predators hate the most are parents who are too involved, parents who ask too many questions, parents who stop by unannounced to check up on their child, and parents who don’t trust too easily. There is nothing that angers me more than when I see a child in a dangerous situation that could have been avoided. I was on an airplane a few weeks ago and saw there was a child flying alone. No other adult wanted to sit by him and the plane was full, so I took the seat next to him because I didn’t want someone creepy to sit by him. In the hour flight he told me he was 6 years-old and was flying alone because his parents left him in California a few extra days to visit with his grandparents. The rest of his family drove home a few days earlier. He voluntarily revealed much to me during the flight like what school he goes to, where he lives, what his parents do, where they work, what his full name is and what all his hobbies are. He befriended me fast and I was so happy I sat by him because I thought if a predator had made his/her way to that seat, he/she would know everything they needed to take advantage of this child. How can anyone allow a 6-year-old to ride a plane by himself and not wonder if stranger-danger is sitting next to him. I may not have been stranger-danger, but I sure was stranger-anger! Angry, at the thought of what if’s; what if I hadn’t been the person sitting next to this small, naive, and innocent child. A predator would know exactly where to find him and all the things he likes to do and his parents wouldn’t know the wiser…they don’t even know I know all that I do about their son! That is scary! Being a parent comes with making hard choices. I feel like the older my first child gets, the more anxious I feel about what to do about the rest of his schooling. My biggest concern about where to send him is safety. I am wondering if all parents who send their children to school feel the anxious, sick feeling in the pit of their stomachs that I have in mine. If I have to identify it, I think I feel like if I ask too many questions and try to involve myself in the classroom too much, the teachers may think I don’t trust them, that I am too pushy, or that I take up too much of their time when they are so swamped anyways. I don’t want school to be somewhere I drop my son off to and not think twice about it. I want school to be an extension of me and my home. I want the same rules about faith, modesty, privacy, and cleanliness that we have in my house to be there as well. I also want to meet and have opportunities to really get to know who the teachers are as well as the other parents of the other children. I also want to feel free to ask whatever questions I want without feeling like I might offend the people running things or that they may treat my child differently because I inquire too much. I want to be able to drop in at anytime and feel welcome to do so and not feel like I am intruding. I know what some may think—Melanie, you want too much from the school you choose. But, is it really too much to ask, or is it my privilege and right as a parent to expect to be in the know about even the tiniest of details, no matter how it may annoy the staff? I am basing my assumptions on the past. I was a high school teacher for four years and a college professor for three before I ever took on the job of speaker. So my fear of being “that annoying mom” is based on the secret thoughts of teachers and staff I, myself have worked with and the labels those teachers gave to parents who were too involved. It can become territorial—like, “who does this mom think she is, this is MY classroom,” or “who does this teacher think she is, this is MY child”—what trumps what? Granted, there does need to be some parental boundaries to make sure the school can function properly and the children feel safe. I can abide by those. The biggest want I have for my children is that their innocence is always being protected. I feel somewhat confident about that in certain schools where staff attends yearly safe environment classes like the one I just took, but you can bet I will be avidly watching to make sure things are as they should be and speak up when they aren’t. I can trust someone with my car, my clothes and other things, but my children are more precious than diamonds; they are priceless and there are very few people I would trust to take care of them! For all those who sent their children to school recently, or will be in the near future, let’s not be afraid to speak our minds or ask questions when we have an unsettling feeling in the pits of our stomachs. Let’s not be afraid to check up and check in for fear we may get labeled. These are our precious children and we are first and foremost responsible for their safety and protection. Melanie, I know how you feel. No school was “good enough” for my precious children. My husband and I were so blessed to have found this wonderful private school that they now go to. The school has a classical curriculum and is made up of a wonderful community of devote Catholic families. Questions and popping in are welcomed and even encouraged. It is like an extension of our family and I feel very comfortable leaving my three “precious gifts” at this school. Our family is now in our second year and it is such a blessing to our children and our family. Maybe this is something to start in your own community……??? ~I am so protective I do not want to publish the name of the school on here:) If you want to check it out I can email the name and website to you.